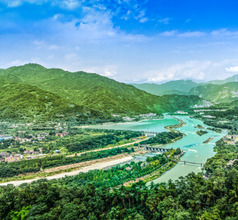 Located in the Sichuan Province of China is the remarkable city of Dujiangyan, which is considered a popular summer resort due to its perennial cool climate. 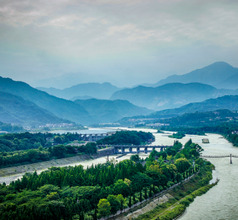 The city is famous for the Dujiangyan Irrigation System, an engineering marvel which is so beautiful that it has been declared a UNESCO World Heritage Site. Miraculously, this no-dam-no-reservoir irrigation system still works in the most efficient manner to control floods in some areas and irrigate dry lands. The bamboo forests near Dujiangyan City are the natural breeding ground of the famous Giant Panda, which adds to the city’s appeal as a holiday destination. 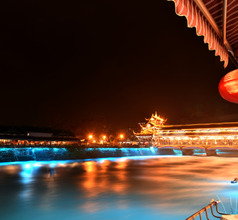 Dujiangyan City has a history that dates back to more than 2,200 years ago. The most famous period was during the Warring States when the State of Qin ruled the area. 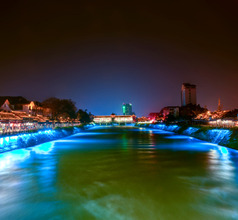 At the time, their accomplished engineer Li Bing and his son designed the irrigation system that made the city famous. The system works on the basis of optimum diversion of water rather than on building dams and reservoirs. 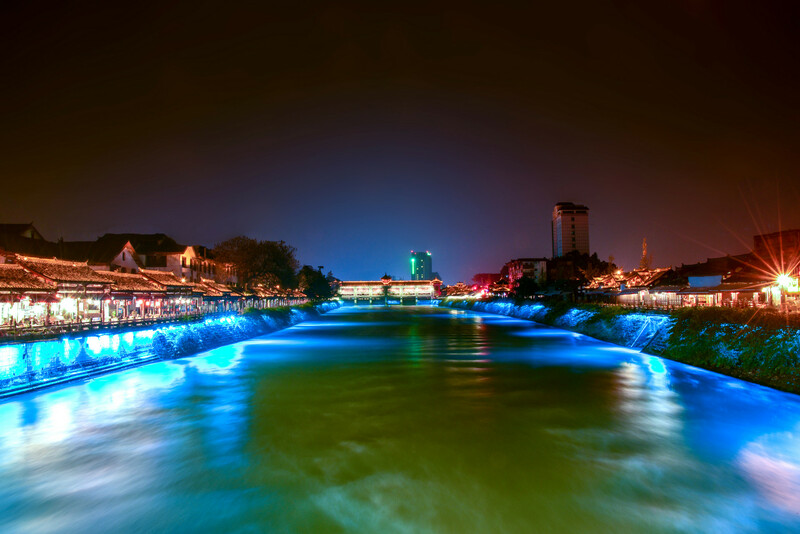 Before the system was built, the Min River would generate flash-flood in the Chengdu Plains and destroy the crops. Considering the intelligence and capabilities of the Qin people, it is not surprising that the State of Qin ultimately conquered the neighbors and unified China. The city is deeply rooted in history, yet it has become a modern and prosperous urban area with proper infrastructure development, tourism-related amenities, and hospitality services. 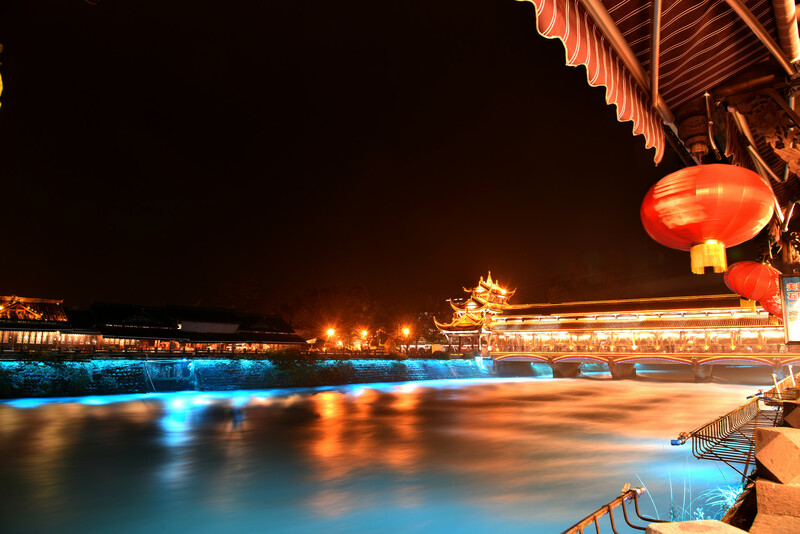 Since Dujiangyan City is a major tourist zone, there are countless 3, 4, and 5-star mountain resorts in the city. The rooms have spectacular views and incomparable amenities ensuring that that guests have wonderful memories of their visit to the city. There are also many guesthouses and inns for those traveling on a smaller budget. The amenities in these premises vary according to their star rating, size, and accessibility. On the whole, the accommodation is the city is clean and the staff in most of the hotels is very helpful. Knowledge of the English language may cause some concern in the smaller places so it is best to carry a dictionary or download a translation app. 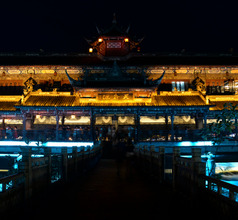 The old city of Dujiangyan has been reconstructed in the same ancient style and converted into a major tourist spot. On entering the East Gate the internal road and the buildings on either side give one a feeling of going back in time. This area is one of the most photographed places in the city, only second to the irrigation system. 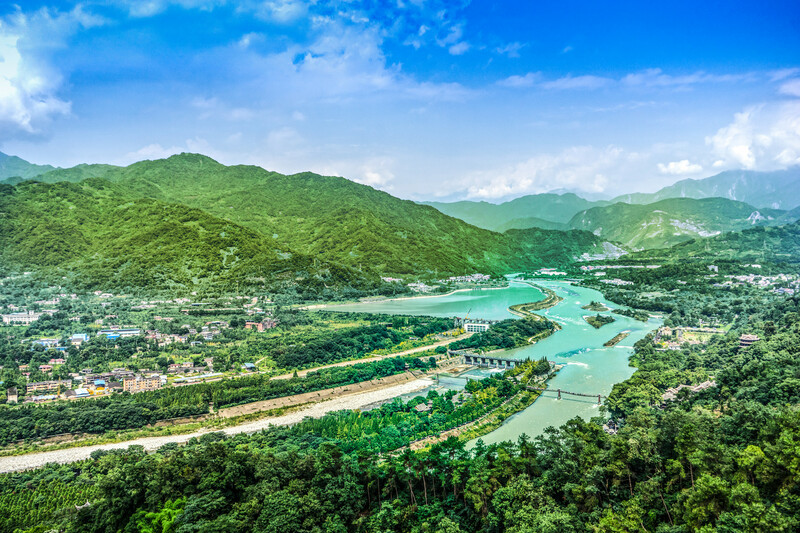 Constructed in 256 BC, the Dujiangyan Irrigation System is located near the old city and is definitely a must-see in the region. Tourists find the walking trails, surrounding hills, rolling plains, the working of the irrigation system, temples, and farmlands a fascinating sight. 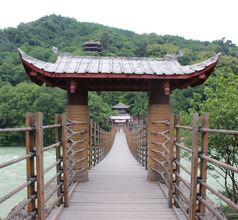 Nearby is another tourist spot, the Qingchengshan-Dujiangyan National Park. 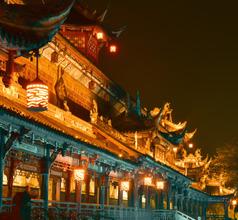 It is not only famous for its green landscape but also for the numerous Daoist temples built in its beautiful environs. 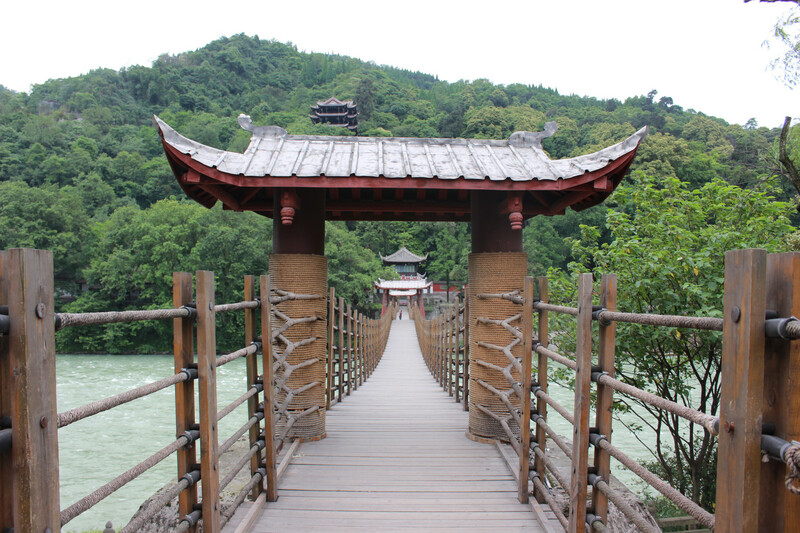 The Dujiangyan Panda Base is a dual-purpose panda conservation area. Giant Pandas are bred here in their natural environment as well as in captivity. One can walk along the special trails and watch them in their natural habitat or visit the zoo for a closer look. 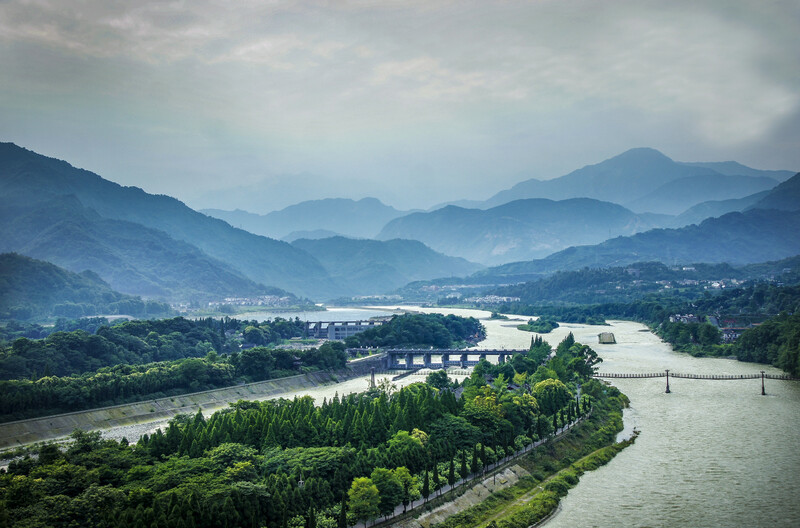 Another popular tourist activity in the area is the mini-train journey on the Qingcheng Mountain which provides a superlative vantage point to admire the region surrounding the city of Dujiangyan. Buses are available to go up to the train station. 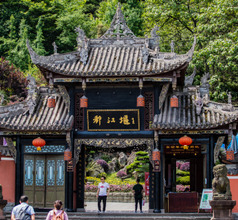 Another tourist attraction near the city of Dujiangyan is the Confucius Temple. 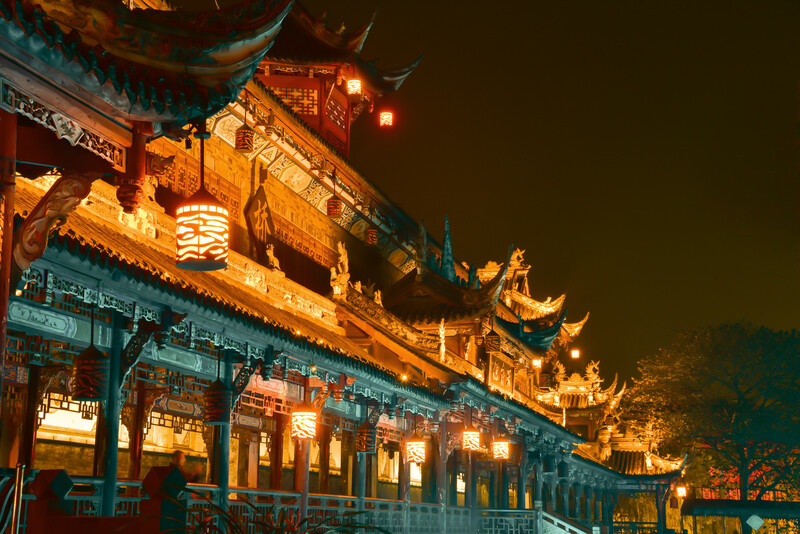 It is a vast complex with many buildings with marvelous architecture, like the Sanctuary Gate, Dacheng Gate, Pan Pond, West Private School, Lingxing Gate, Dacheng Hall, Pan Bridge, East Private School, and others. The local food of Dujiangyan City is very simple and is focused more on following a healthy diet rather than the appearance. The local cuisine is more of the Taoist style, and although it seems simple, it is very delicious and full of flavor. 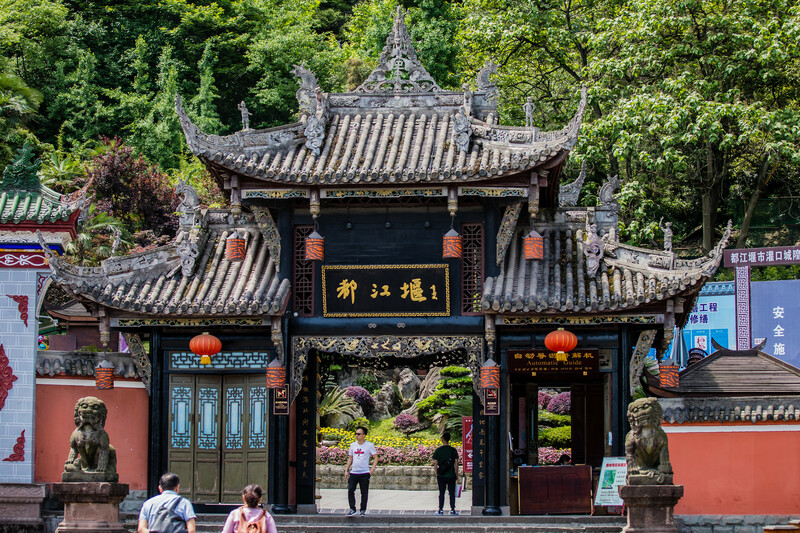 Some of their local specialties are Dongtian milk-wine (kiwi fruit extract refined and brewed), Qingcheng Tea (green tea with a history of 1,000 years), Gingko stewed chicken soup which is believed to have rejuvenating properties, and Taoist pickled vegetables.